This highly interactive and participation driven workshop is set to stimulate and challenge you to think about your organisation, it's creativeness and change culture. By incorporating your own experiences and comments linked to those of the speaker, this program will allow you to gain a fresh perspective and discover how you can significantly contribute further to the future sustained success of yourself and your organisation. Packed with the lessons from global research, group discussions, team sharing, proven real world strategies, practical business models, relevant stories and simple techniques, this workshop has been carefully structured to ensure there is real action learning - practical and effective. We are positive that you will find this experience insightful & invaluable. 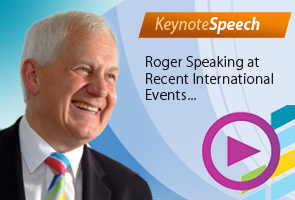 More than 10,000 Business Leaders and others have gone through Roger's Masterclasses and achieved transformational changes in performance using the secrets and tools learned on the programme. 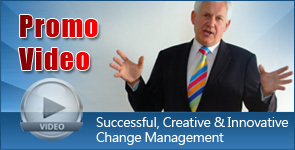 Based in Oxford in the UK, he's an international business growth speaker who inspires and entertains audiences with his acclaimed Staying in the Helicopter® programmes. Over 10,000 CEOs, business leaders and others have achieved transformational change through his thought provoking, entertaining talks laced with real-life stories and humour. He has unusually wide leadership experience… from small start-ups to multinationals… and from high-tech products to basic commodities, people-based service businesses and not-for profit organizations. Roger spent seven years as Group Chief Executive of a FTSE quoted, high-tech industrial group with 12 sites across 4 continents. The UK Government mentioned it in its 'Competitiveness' White Paper. The US Forbes magazine included the group among its list of the top 100 overseas companies. Two business schools have used it as a benchmark case study on culture change and business re-engineering. Roger has tutored on a leading leadership and teambuilding programme for over 25 years. He's also a keen windsurfer and mountain biker. Copyright © 2019 www.mile.org - All Rights Reserved.